Light up your beach home with the Lifeguard on Duty Table Lamp. 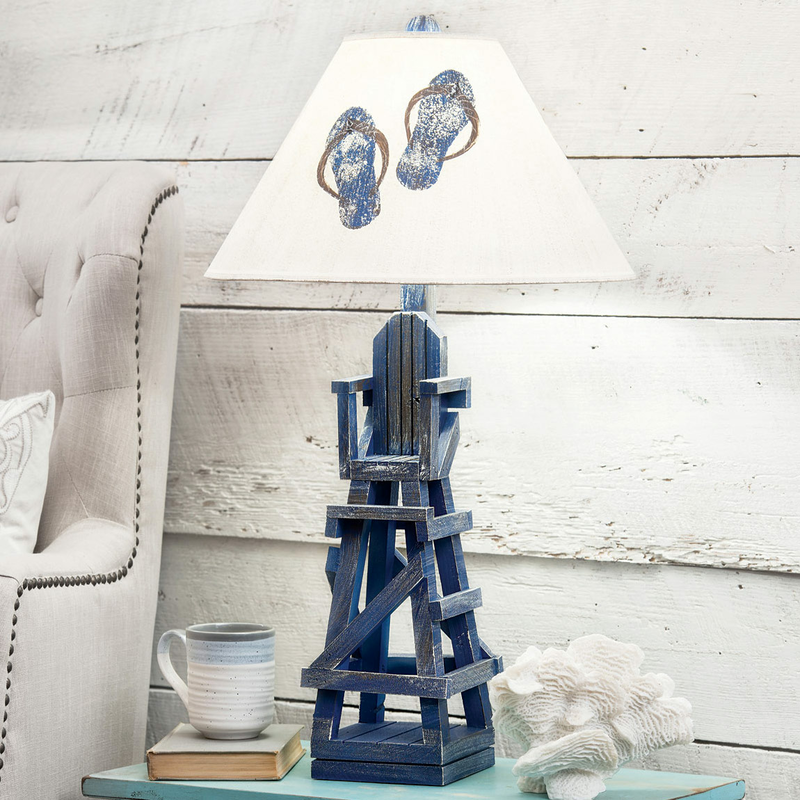 These beach table lamps add beauty and character with a replica lifeguard beach chair and matching flip flops on the shade. Ships from the manufacturer. Allow 1 to 2 weeks. Cannot express ship. For many more products, we ask you to spend some time to look at our thorough range of beach table lamps at Bella Coastal Decor now.